my liking. How 'bout Jamesville instead?!? Probably not specific enough! So much Hope & Hype that finally to have a chance against the Cavs this year. The Beast LeBronto snake bites us every playoffs, especially this year. I despise him but he is the GOAT, next to Jordan. Same as the Leafs, snake bitten by the Bruins again as they were the favorites to win the series, but NO. Preparation for playoffs are crucial & neither Raps or Leafs were prepared. Maybe next year, LOL. I don't know how old you are, but I watched Michael Jordan's entire career (and loved him) and I don't really think it's that close. LeBron James is the greatest basketball player of all-time. Lebron is just ahead of Kobe but Jordan so far in Lebron's career was better overall. Both played when Basketball games changed as years passed. I did say he is next GOAT. It's the same as Gretzky, Howe or Orr who was better? Hockey changed when each were at their best & then Sid came along. There is always a "STAR" in every sports league & next thing you know another one evolves. This series was lost in Game #1 when the Raptors were in control, up 14 at their peak, and let their foot off the gas. You could tell that they expected Cleveland to continue with little resistance. In the regular season you could call this game a "Scheduled Loss". Raptors played well overall, but clearly panicked in crunch time when they saw the game slipping away, missing wide open shots and easy put-backs. Game #2 was still a chance to get back in the series, and out of the 3 games, the one that I will never get, how they themselves seemed to not want to fight, and capitulated in an easy Cavs win. Game #3, final result, Raptors accounted for themselves very well, I still have no idea how they were one missed LeBron shot from pushing it into Overtime. They made a furious comeback with DeMar sitting on the bench to finally man up and play with heart and physicality. Yes, LeBron, who I now call the GOAT, has had a monopoly over the Eastern Conference for almost a decade now, but his supporting cast was its weakest yet, closer resembling his early Cavs teams that he literally had to carry on his back. The Raptors as the #1 seed playing their game still should have found a way to hold serve on their home court and there was zero excuse to lose both games, regardless of the circumstances. I do my best not to be a homer, but sure I am, but would be remiss if I did not point out the huge discrepancy in how many times Cleveland went to the line versus us. Game #1 not having the review of the Flagrant 1 by Love that the NBA the day after was confirmed by the NBA was abominable. This just can't happen, and there was clear bias to favour the Cavs by not taking a look, when the NBA normally looks at anything on video that is not clear. There is no need for a knee-jerk reaction on what to do in the off-season. Masai will evaluate this team more on their playoff output than their record 59 wins, which as we all know, is meaningless in reality, it is what you do in the post-season that only matters and how you should be evaluated. Still, an enjoyable season, and LeBron of course was the difference maker, and is clearly not ready to abdicate his throne. 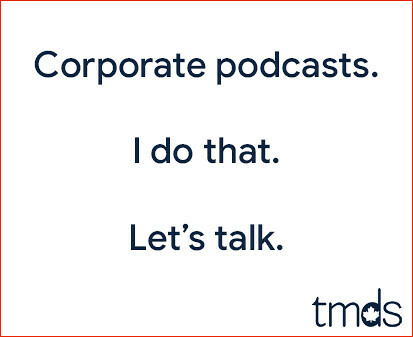 I'm waiting for the change to the site and podcast name. 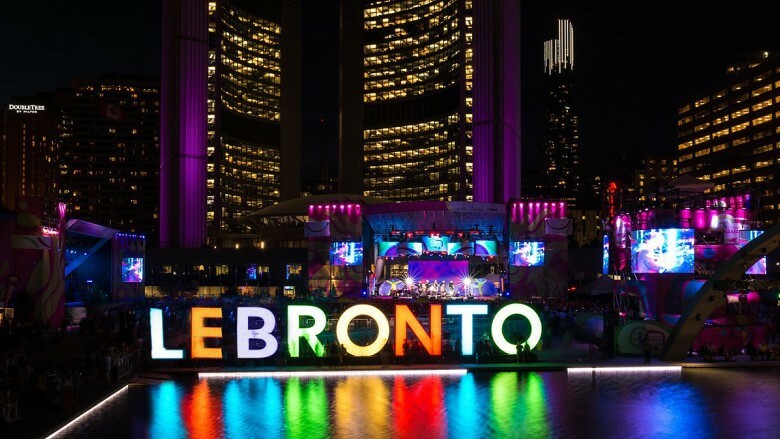 LeBronto Mike'd has a ring to it. Actually 3 rings to be exact...and counting. The Raptors are suffering the same fate many teams faced in the Jordan years. They've run into a generational player. The only way to beat him, to to have him join them. I say this off-season they go hard at Lebron to try to sign him. I know it won't likely happen, but to not try is to not compete. Al, LeBron at almost 33 1/2 years old is having his best year ever. The NBA made it easier to not have to rest, but even so, it is damn impressive to play in all 82 regular season games like he did. While Harden will win the MVP award this year, I still vote for LeBron due to the supporting cast he has to work with. Without him they are a lottery team, that is how much of a game changer he is. Father time though catches up with all of us, so when will that start to kick in for LeBron? Toronto I am sure will make a pitch, every team in the NBA will, but I don't see this happening, as Toronto is not mentioned on any short lists I have seen. Staying in Cleveland, going to the 76'ers, Rockets, or Lakers seem to be the choices being floated around, but LeBron himself likely does not know, and will evaluate in the off-season on what to do.